You are here: Home / Miscellany / Make All the Baskets! 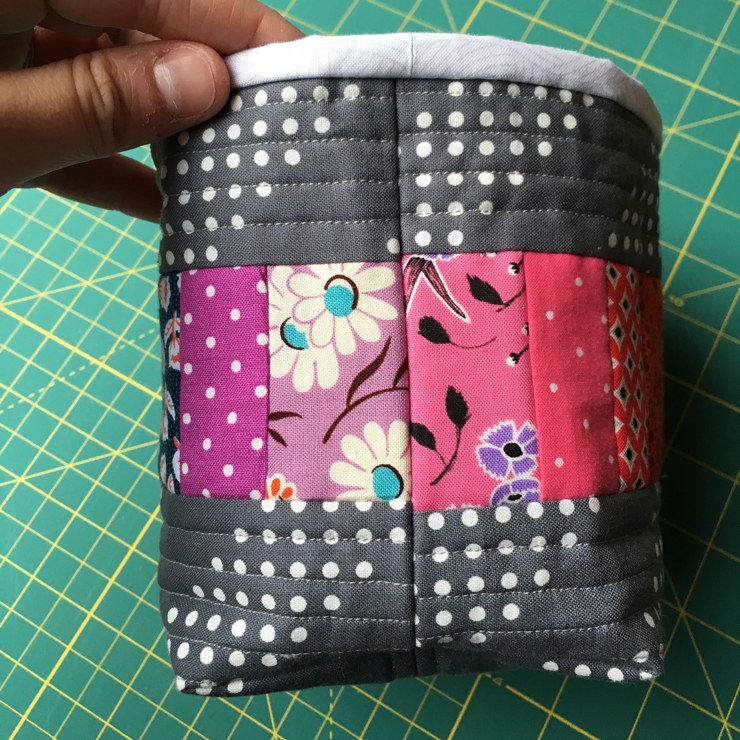 Before Christmas I made a quilt-as-you-go thread catcher using a free tutorial from The Sewing Chick. 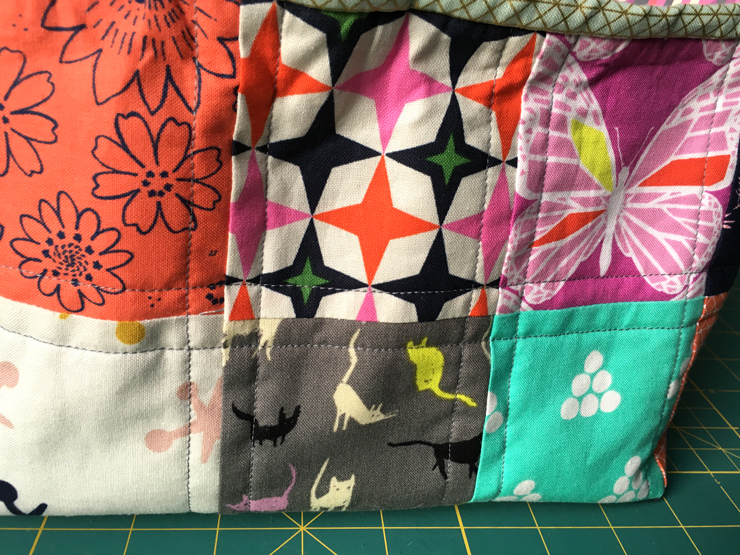 The pattern is fantastic and I was so thrilled with how it turned out. The base of the thread catcher is canvas so it stands up nicely and has a nice structure. I’m extremely proud of how nicely that seam lines up. 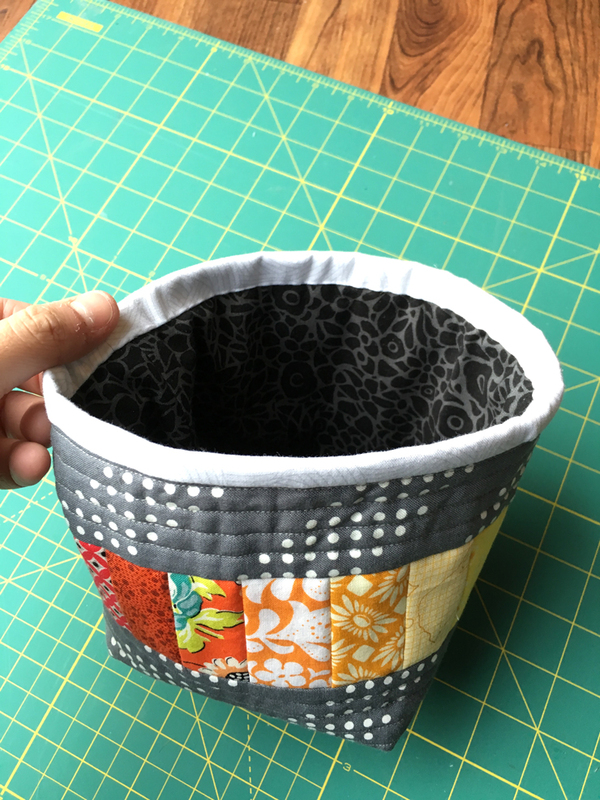 I love the binding along the top edge, it finishes the basket really nicely and is really easy to do. I made a couple more as Christmas gifts too. I made this one for my mom to match a quilted table runner I also made her. 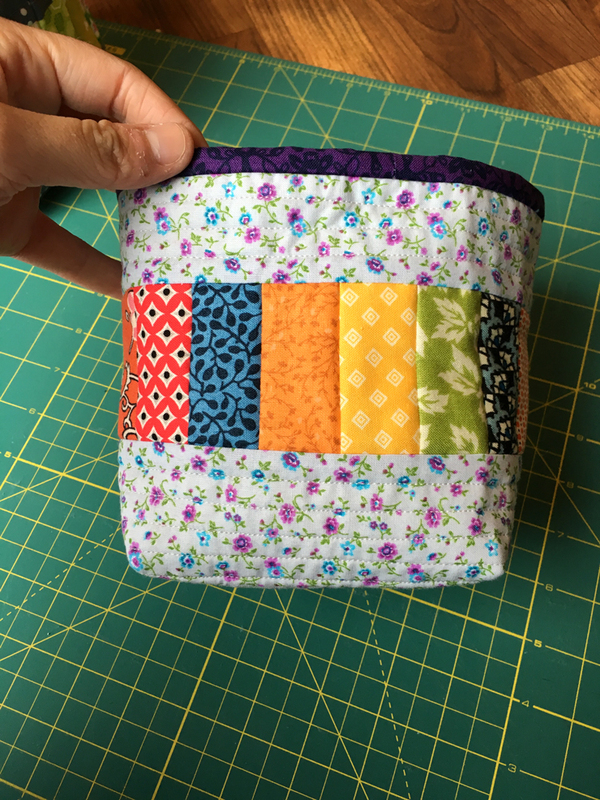 Then I made a divided gift basket using Clover & Violet’s free tutorial. 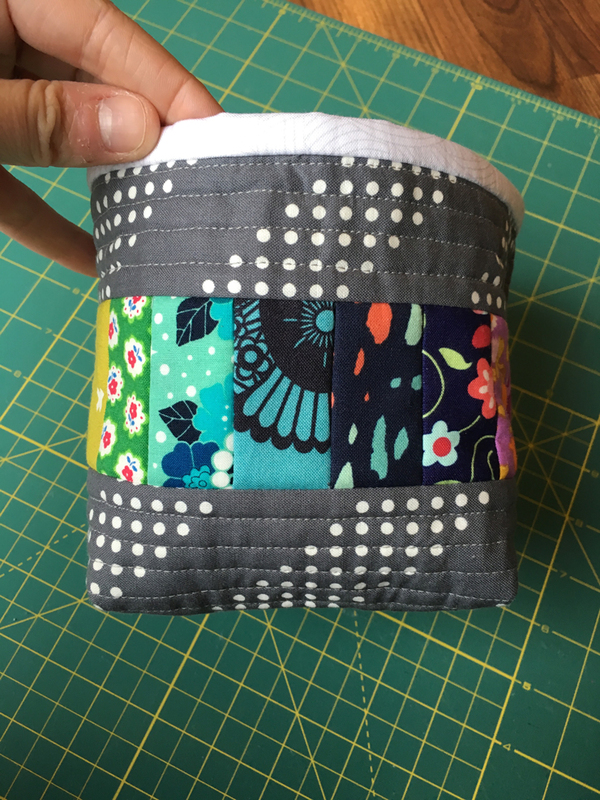 I made it for Mollie from Wild Olive and used Cotton + Steel fabrics for it. I realized how nicely the different fabrics from the different lines work together because they have so many of the same colors throughout. This sparked a Cotton + Steel quilt I’m working on that I’ll be showing off soon, or you can follow along with the progress on Instagram. 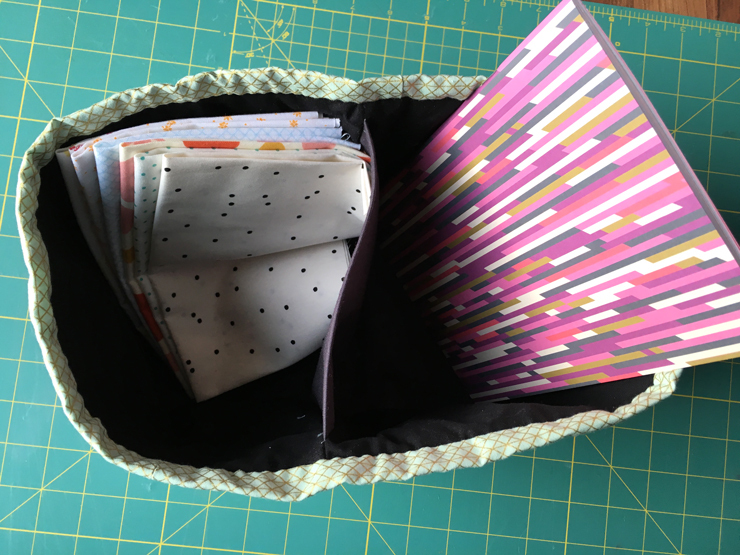 I filled the basket with a low volume bundle from Sew Luxe Fabric and a Liberty of London notebook. 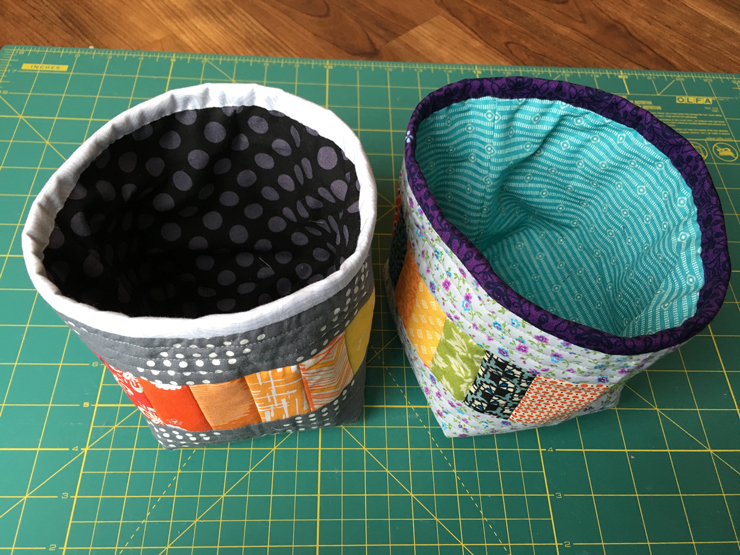 One of my next projects is to make a few more of the quilt-as-you-go baskets in varying sizes. Don’t you think they’d be perfect for sewing notions? 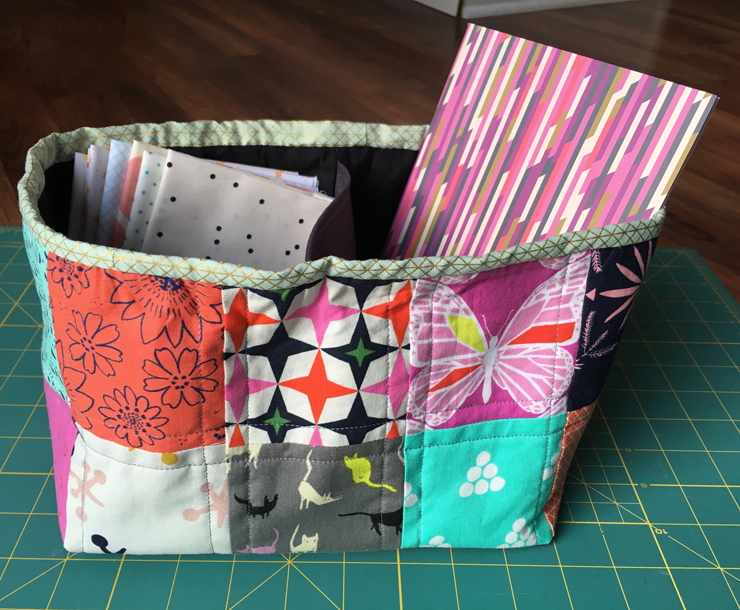 I love the quilt as you go basket! I may have to try that!